You’ll find a little black arrow located on the bottom right of those colored swatches. A menu will pop up and you’ll select Auto. Now all you need is a random object to color. 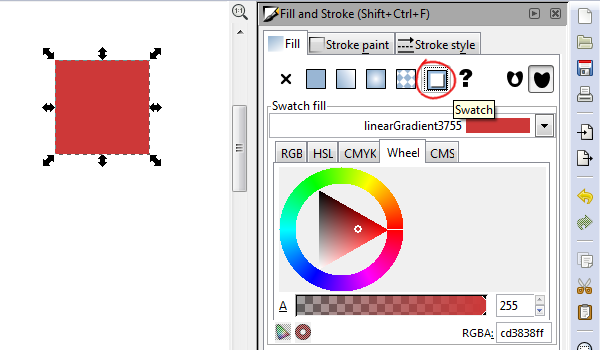 What we want to select is the Swatch button under the Fill tab of Fill and Stroke. 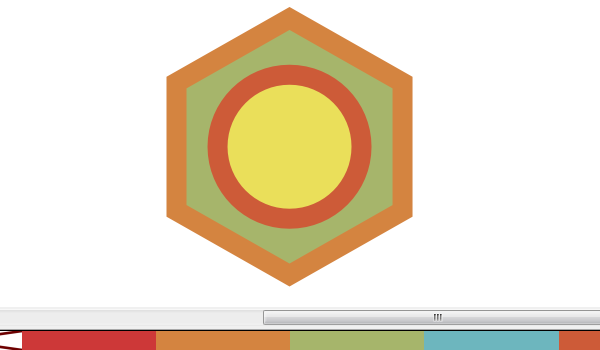 You can now choose the color in which to swatch. I just kept copying and pasting that square and changing the swatch color (as it’s a new swatch each time you copy and paste the object). 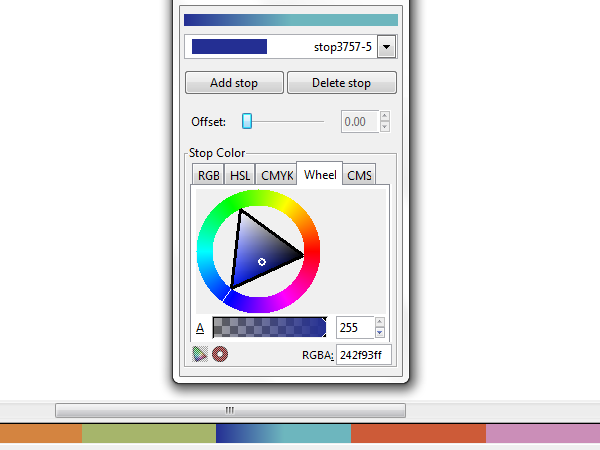 You’ll notice that the color swatches on the bottom automatically update as you create new swatches. You can now select objects and simply click the swatches on the bottom to color your objects. Remember, you can also shift+click to apply the color to the stroke. You can even right-click on a swatch and click Edit. It’ll bring up the Gradient Editor which will allow you to change your swatch, which will of course also change the colors of any objects with that swatch applied. You can see below that I actually added a stop to create a gradient swatch! How cool is that? 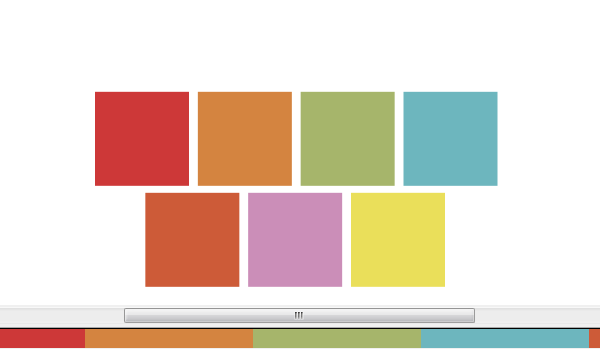 As you can see, it’s super easy to create a custom color palette just by adding swatches. One of the coolest features is the ability to have a gradient swatch. 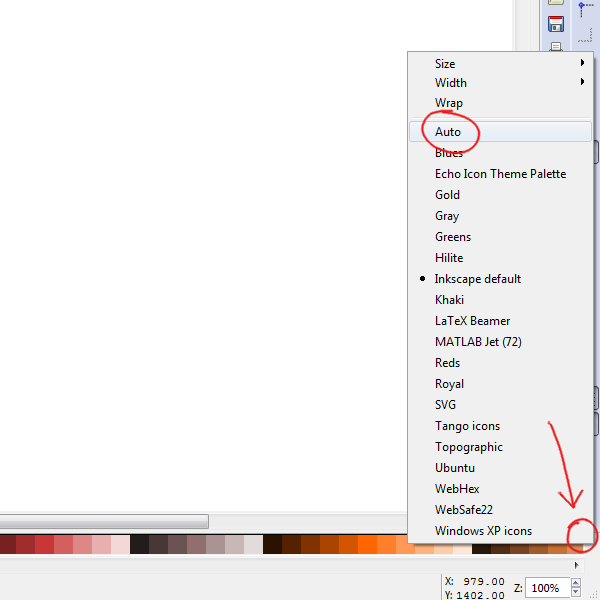 I should also add that if you save your document, all of your custom swatches will of course be saved as well. Hopefully this helps you with your designs, thanks for reading!